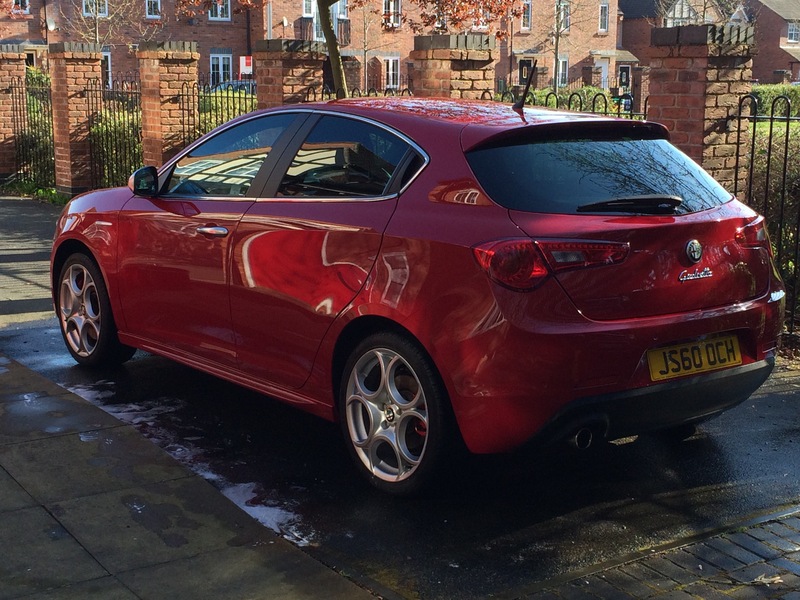 I haven’t managed to clean the Giulietta for a while but with the nice weather I thought I’d give her a bit of a bath. Four and a half years old and if it wasn’t for some stone chips the paintwork would be near perfect. Wheels need refurbishing though and the NSF needs straightening. Slight buckle courtesy of a Manchester City Council owned pot hole a week or two back.